​ Friday the 14th July finally arrived and after many months of planning, 80 plus (that's the number not their age!) 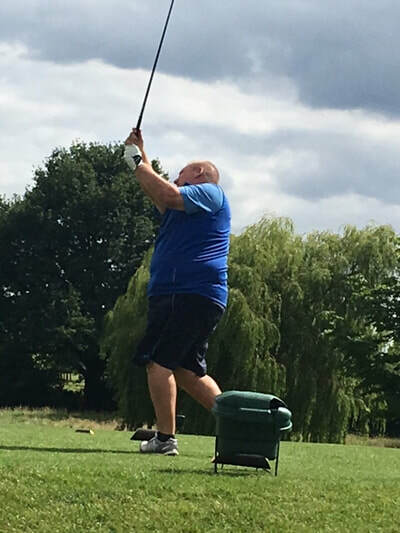 intrepid golfers were in attendance at Stock Brook Manor Golf Club, Billericay, at the start of a day of fund raising for the Essex Mark Welfare Fund. Others would arrive later and join in the evening meal and presentations, which included auctions run by Charles White and Glenn Remblance and a grand raffle run by Terry Nixon and Peter Maloney. A feature of the day, as always, were the £1 fine pots for any fine incurred throughout the day for many golfing misdemeanours (real and imagined, with a further fine for dissent!) and, in the evening, for others who just happened to be there! In charge of the fines, dispensing rough, but extremely polite, justice, were Emlyn Carter, Bill Crossley and Paul Thurgood who also acted as marshals during the day. 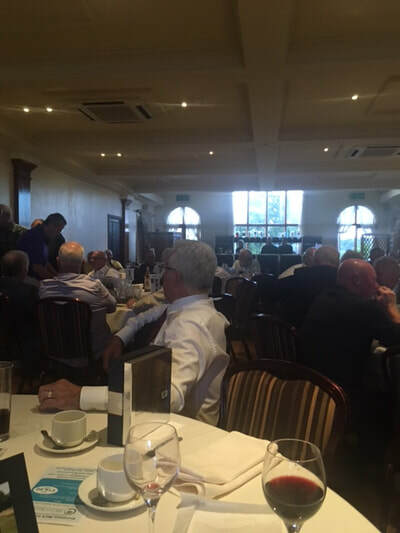 In the evening there was an indoor putting competition and a chance to ‘win a £20 note’ run by Kamal Khan, which all helped to swell the money raised on the day to a fantastic £2,000. The PGM, R.W.Bro. 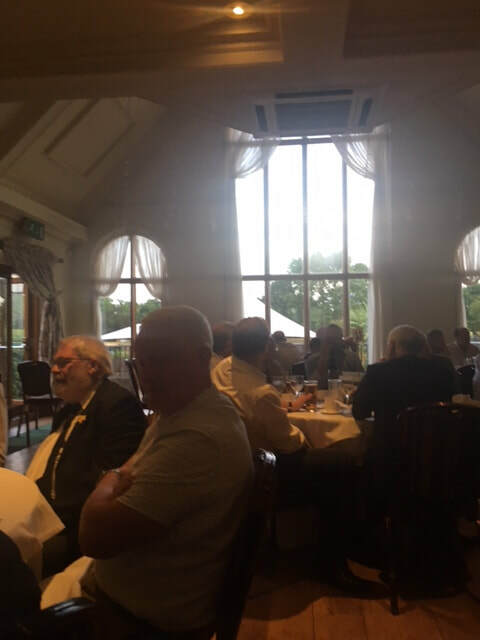 Terry Sheern was in attendance all day, along with some of the Provincial Executive and other members of the Mark Degree plus non-masonic family and friends. Some joined in the golf and others gave their support in different ways such as being a ‘marshal’ on the course. David Awcock and Maurice Webb also marshalled the 7th hole where a ‘Beat the Pro’ competition saw only 6 golfers better the Golf Pro’s shot and all won a prize. The art of ‘buggy driving’ was shown by Bill Fraser who drove the PGM around during the day selling drinks and food with proceeds going to the charity, until the PGM decided to take control of the wheel and show off his ‘wheelie starts’ (we understand that there is now a substantial amount of "ground under repair" but all lips are sealed!). 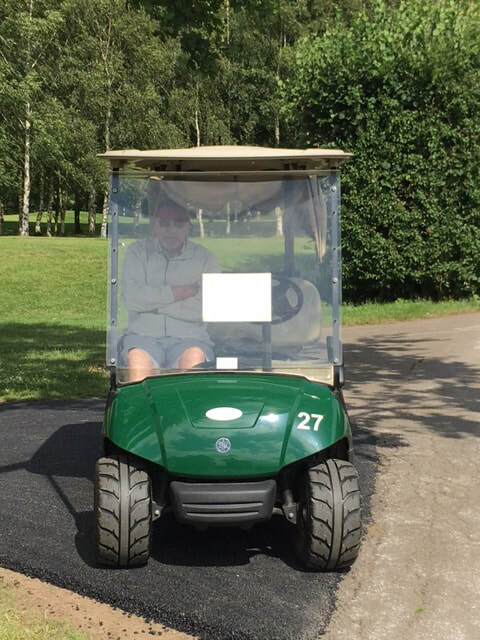 All the golf teams had photos taken on the first tee which were expertly taken by Peter Nason who produced them for purchase in the evening, where many were sold to individuals with a percentage of money given to the charity. 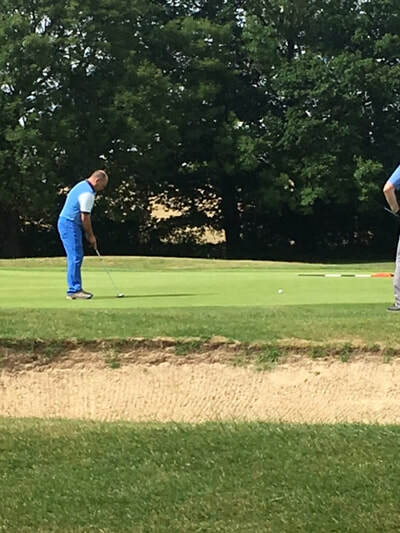 The event was supported by teams from Essex, Kent, Surrey, Sussex and the Metropolitan area, and there were many winners on the day for a range of events including best individual score, nearest the pin, longest drive and a team competition. 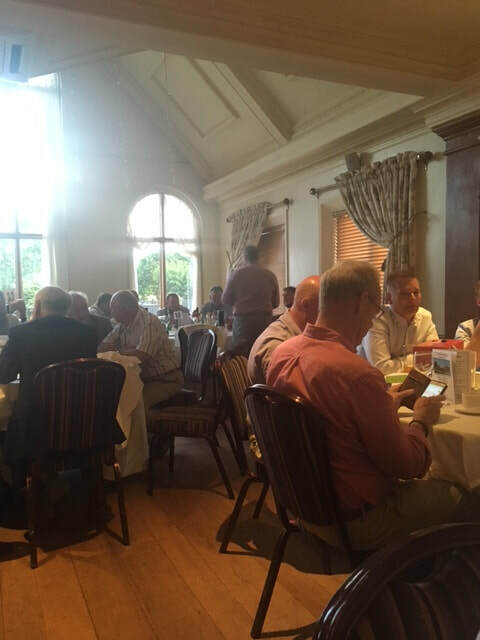 The golf was played out in wonderful dry weather which made for a fantastic day, with Stock Brook Manor Golf Club being the perfect hosts. This is the 4th year that the event has run and is now established as a permanent fixture in the Essex Mark calendar.